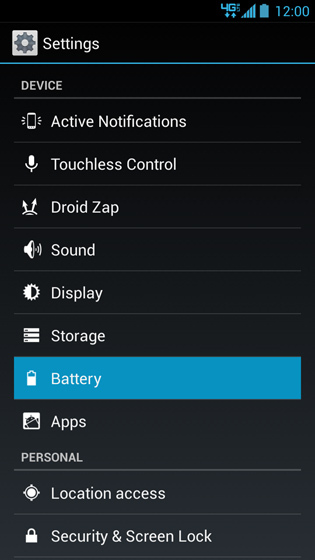 Select Battery Saver to enable or disable . 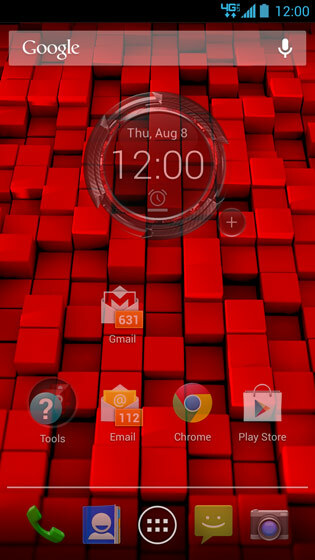 The battery graph is displaying the time since it was last charged to 100%. 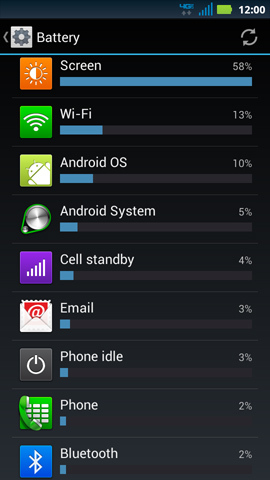 Review the battery usage (e.g. Wi-Fi, Android OS, Phone, etc.). 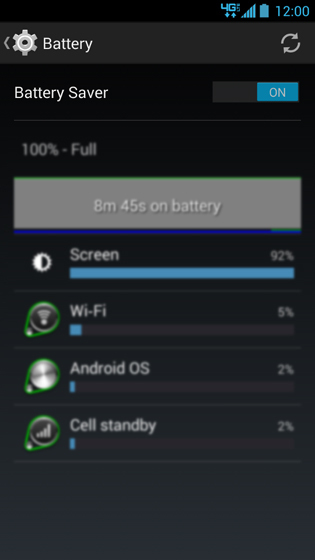 Displays basic battery discharge/charge since the last full charge. 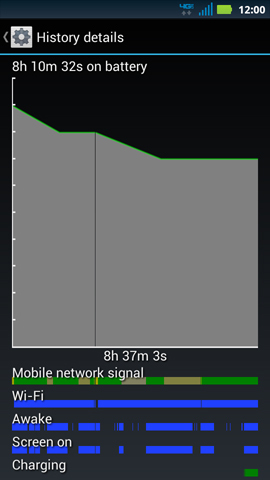 Signal strength will have an affect on battery life. 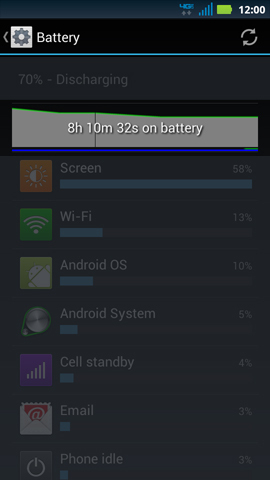 Will show periods of partial charging since the last complete charge.